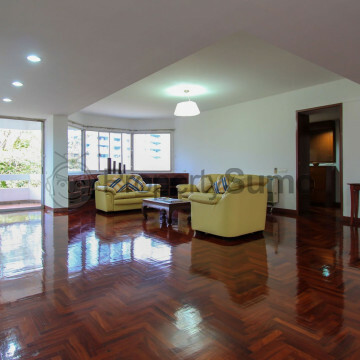 This gorgeous building was completed in 1992 and boasts a large green space for residents to enjoy. 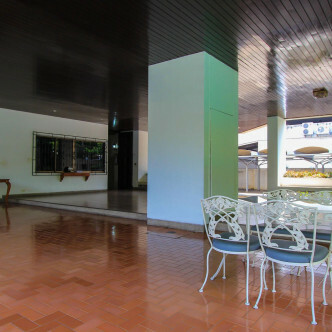 Pets are allowed here, making this a great place for families, while there are just fourteen units set on nine floors, which gives Kanta Mansion a real community feel. 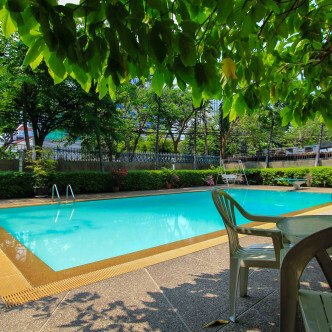 Among the impressive facilities that Kanta Mansion offers residents is a pretty swimming pool surrounded by a garden. 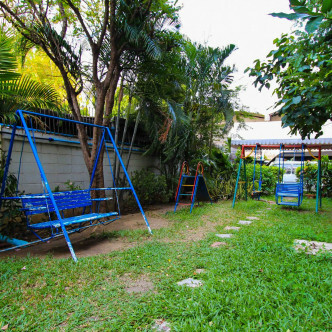 The garden comes complete with several large swing seats where couples and families can sit while soaking up the enchanting atmosphere of this urban retreat. 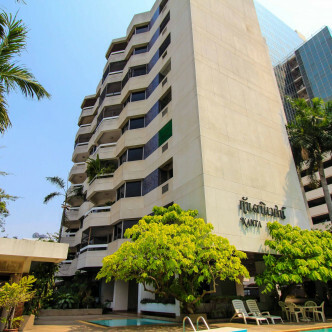 The location of Kanta Mansion on Sukhumvit Soi 26 is extremely desirable as the large entertainment zones of K Village and A Square can be found within walking distance. 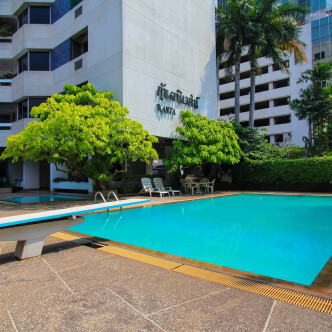 These areas offer a wide range of entertainment options such as wakeboarding, yoga and meditation classes, drinking and dining, while Phrom Phong BTS station is situated at the end of Soi 26. This neighbourhood is also home to some of the best restaurants and cafes in Bangkok, including the award winning Bo Lan and the recently opened Cafe Lapin.